Today is the 25th Anniversary for MSF. Just typing that is surreal to me. Stephen Meister, Tom Friedman and I took space in a month to month shared office provider 25 years ago today and opened for business. We received our first check for $1,000 from a nice lady for a house closing (which I had never done before but spent 2 weeks learning how to do). In those days there was no such thing as departments …we were just lawyers and learned to do anything and everything that came in the door. I know I am speaking for Tom and Stephen when I say that the absolute best thing about that day was that it was the first step in a long journey that has brought us to where we are today and the terrific Firm which together, we have created. No company is perfect, and every business where human capital is the prime ingredient, such as MSF, is an ever changing and evolving process. We spend every day trying to be better at every level. We are not perfect, but we genuinely keep trying to make this as good a place as it can be for everyone. We are proud that MSF has offered to many of you (and us) the opportunity to earn a living and grow professionally. For many of us, we have spent most of our professional career at MSF. For many others, you are just starting on the journey with us and hopefully will be here celebrating our 50th anniversary (if Stephen, Tom or I are still here, please then help us cut our lunch into little pieces and check on us every half an hour or so, unless its nap time). 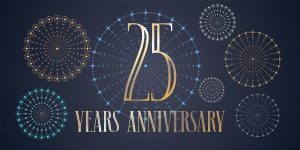 We have accomplished together something that most launched businesses do not achieve: 25 years in business and going strong. And I honestly believe the Firm’s better days still are ahead of us. The most important thing we have created together is a platform. We should all be working hard to use that platform to succeed and to continue to have a positive place to work. That platform is not dependent upon any one or two or three people. It’s there for everyone to use to improve your skills, earn a living, move up in your job title and role, learn new things and make the place into a thriving work environment. As we move toward the next milestone, I remind everyone that there are always challenges ahead. There are thousands of smart lawyers always looking to service our clients. We need to be vigilant and mindful that we are in a service business. We need to work harder than the next person, be more responsive, keep clients fully informed of the status of their matters and do the best job possible at a cost efficient price if we are to continue to succeed. An obsession to client service needs to be our focus, and at every level in the Firm. From reception to billing personnel, to admin staff to associates and partners. Excellent client service must be the focus for everyone. I believe the Firm took root and prospered in the early years and for most of our existence because of the relentless pursuit of client service. As we grow, it’s easier to take clients and matters for granted. We can’t do that. MSF remains a mostly blank canvas waiting for each of you to add another brushstroke to its story. I encourage you to take advantage of the opportunities here, add to the positive nature of the story, have patience when not all is perfect, and trust that we have the freedom to continue to have the type of company of which we can all be proud. It’s up to you, to all of us. We thank our clients for being part of the MSF family. We are very grateful for your continued patronage and the opportunity to act as your counsel. Thank you to everyone, especially to Tom and Stephen and all of the others who have been here for so long (we will give a shout out at the 25th party to you). I am blessed and humbled by what we have collectively achieved.